Skyscape's 5-Minute Clinical Consult for the PDA (5MCC) is the latest incarnation of the popular PDA-based medical reference. 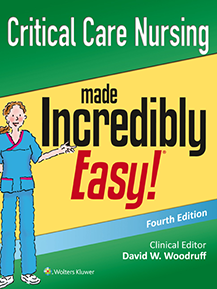 Based on the textbook of the same name, this reference covers a broad spectrum of common clinical topics, and a number of obscure ones as well. The portability advantage of the PDA version over the textbook version is obvious, but the other major advantage of Skyscape's PDA version is that it has an effective user interface (UI) that makes searching, navigating, and retrieving of clinical content simple and fast. I discuss some of the major aspects of the UI in the following sections. All topics in 5MCC are organized under each of four separate indexing systems: 1) a table of contents, which is organized by organ systems and is analagous to the table of contents of a textbook. 4) the main index, which is analagous to the index of a textbook. The main index is used as the default, although the user is free to choose whichever indexing system is most appropriate for his particular search. Within each indexing system is a text field for entering search terms. The searching mechanism is based on a simple exact match, but returns results quickly. You enter the topic, and the content, if covered, pops up quickly. No thumbing through the pages of a thick reference. Each topic itself is subdivided into standard sections (basics, diagnosis, treatment, medications, followup, and miscellaneous) which makes it even easier to hone in on the specific information of interest. Each section is accessible using a standard interface metaphor that is easy to learn and efficient to use. For users who, like me, own multiple Skyscape titles, Skyscape offers cross-linking of topics between different titles. So if the user is browing the topic of diabetes in 5MCC, he can automatically pop into the topic of diabetes in the Washington Manual of Therapeutics, if he has this reference on his PDA. Overall, 5MCC is one of the easiests PDA references to use, with a gracefully designed user interface. The topic coverage is also fairly complete for a portable reference, and it should be useful to medical students, residents, and even more advanced practitioners in general internal medicine or family medicine. 5MCC does not replace a full reference textbook, but its goals are portability and ease of information access. Of course, the best way to get a feel for the application is not to read a review, but rather to try it out for yourself. The application can be downloaded for free from the Skyscape website. Much of the content will be locked, so you will not be able to get a complete feel for the depth of the content, but you will be able to get a feel for the user interface. For students, residents, and practitioners who own Palm or Pocket-PC PDAs, this application merits at least a trial download.